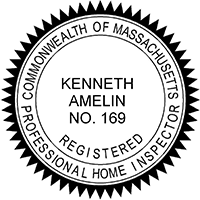 Ken Amelin is the principal, founder and owner of Mid-Cape Home Inspection Services, Inc. Ken has more than 30 years of experience in the real estate and construction industry. Ken began his career working in a corporate real estate organization holding various positions in building design, project management, real estate planning and property management. With Ken’s background, his love for the Cape, and enjoyment of working with people, Mid-Cape Home Inspection Services was born. Ken understands that buying a house can be an emotional experience and a major financial commitment. He also understands the importance of finding issues in your prospective home and clearly communicating them in the written report. Discovery of the conditions and a written report prepared in a clear, professional manner is the key to a successful home inspection.